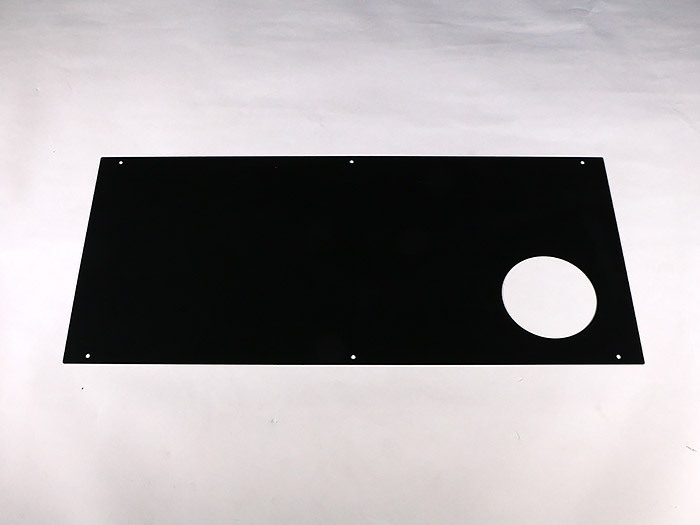 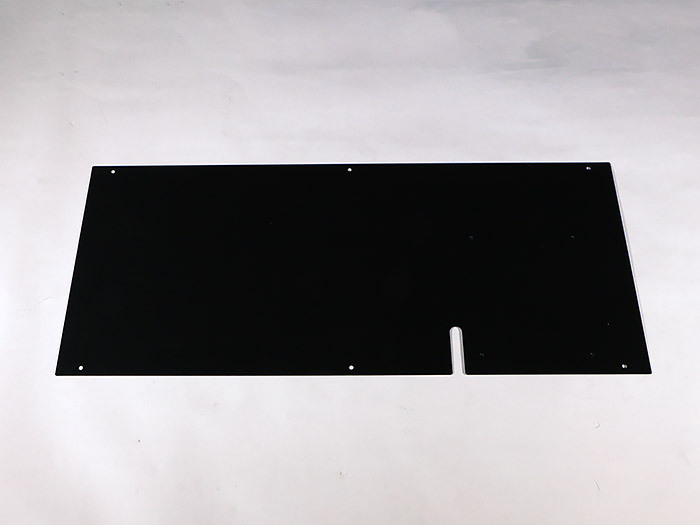 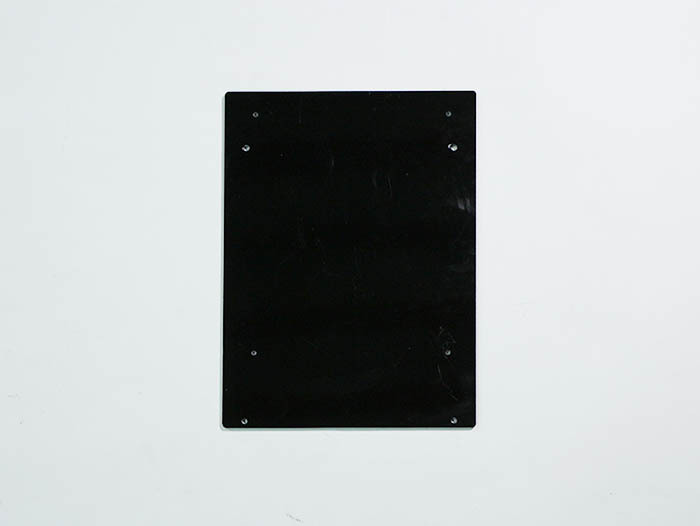 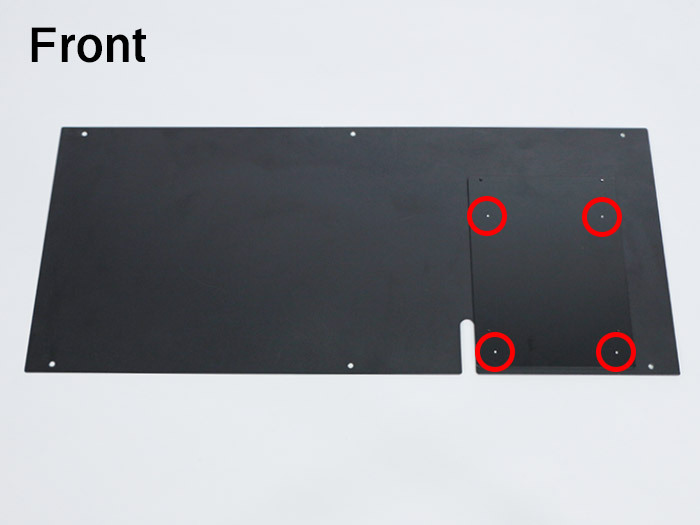 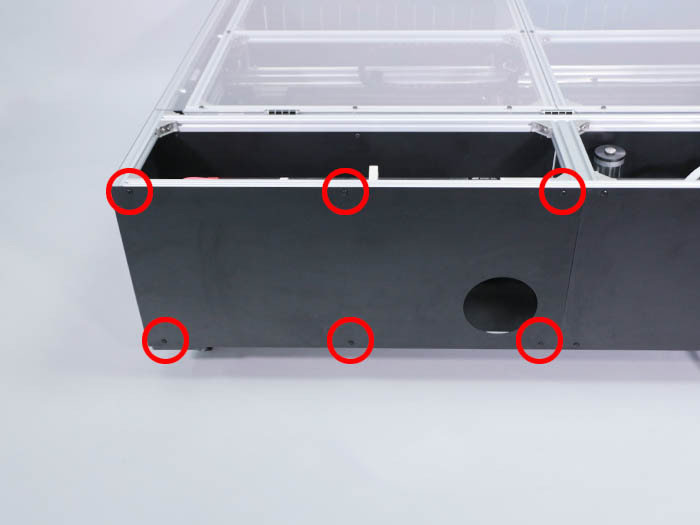 Attach PCB Box Attachment Plate on Back L with 4 of M3×5 Low Head Screw. *Attach Low Head Screw from the back side. 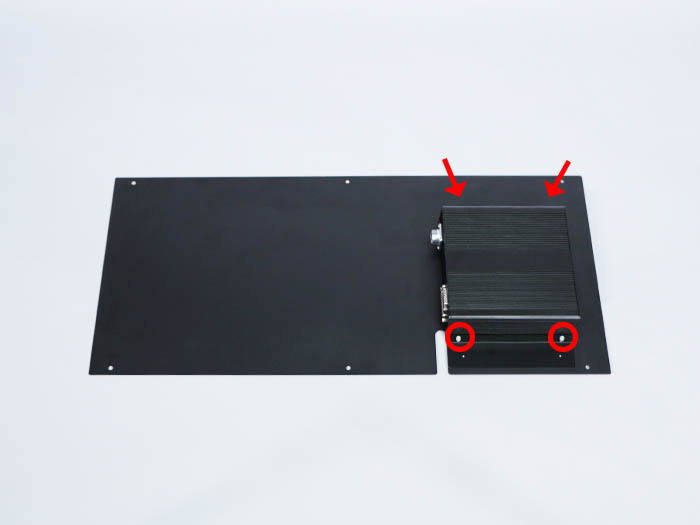 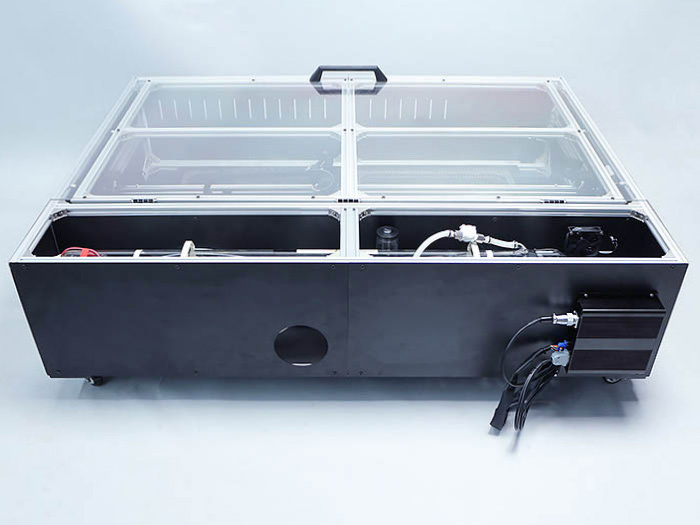 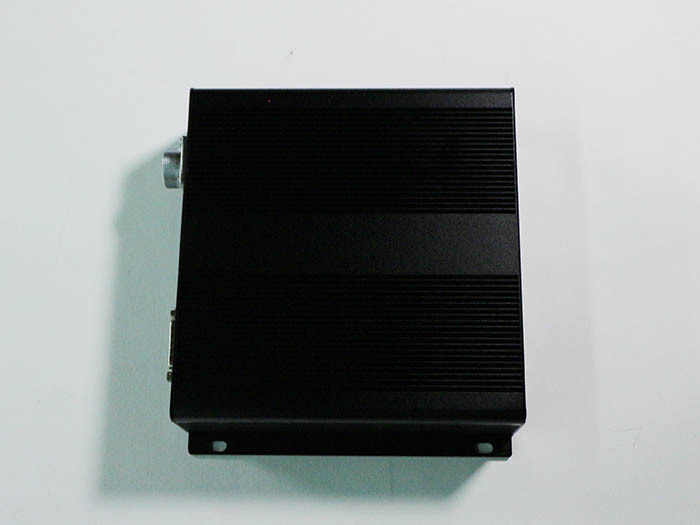 Attach PCB Unit on PCB Box Attachment Plate with 4 of M4×4 Hex Socket Head Cap Screw. 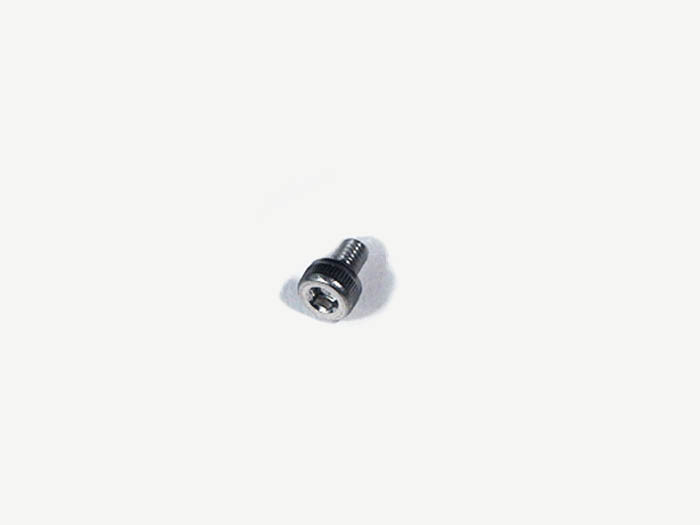 Attach Back L on the main body frame with 6 of M5 Post-in Nut and 6 of M5×8 Low Head Screw. 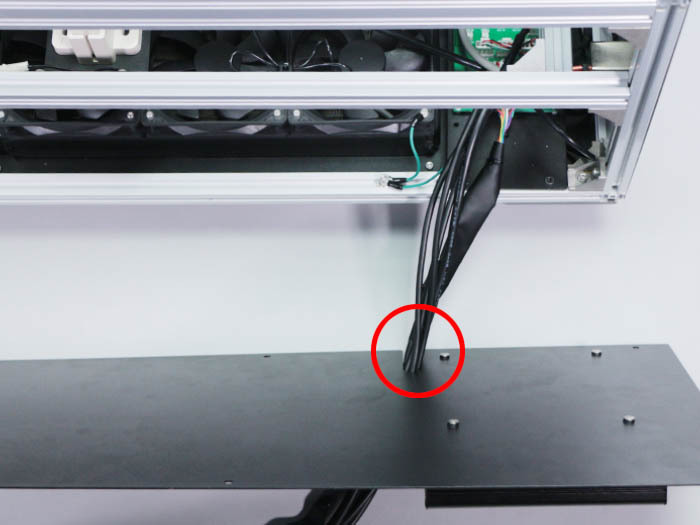 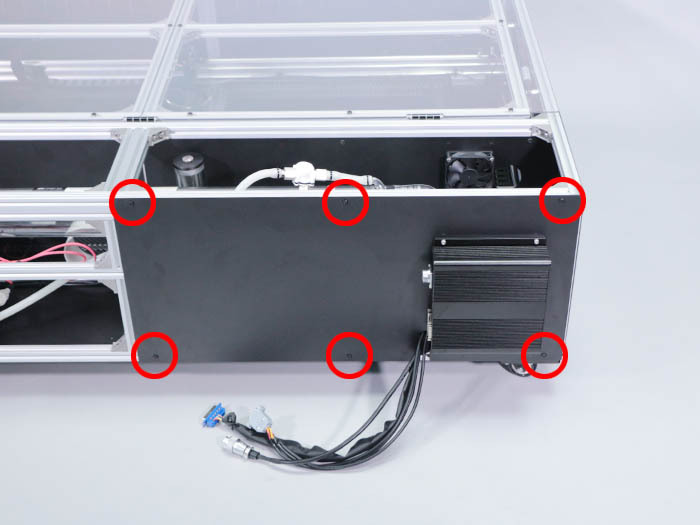 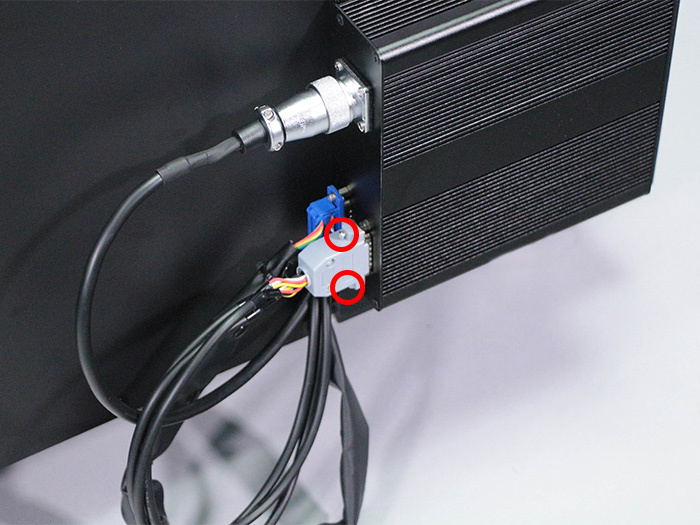 When installing, take out RELAY DC POWER Cable, RELAY MOTOR Cable and RELAY SIGNAL Cable from the notch of Back left out of the main body. 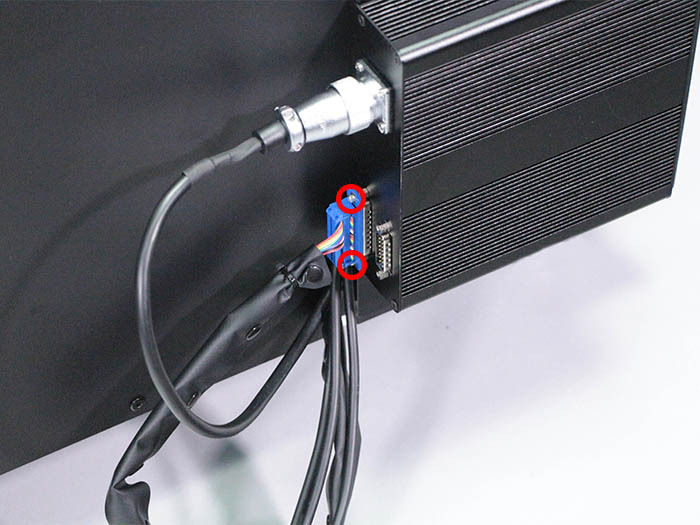 Attach RELAY DC POWER Cable on PCB Unit by turning the nut pointed by arrow in the picture. 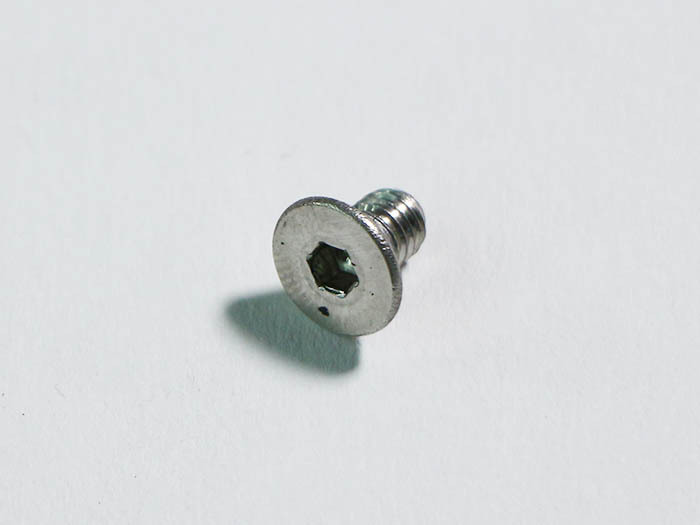 Attach RELAY SIGNAL Cable on PCB Unit with 2 of M2.5x6 Hex Socket Head Cap Screw. 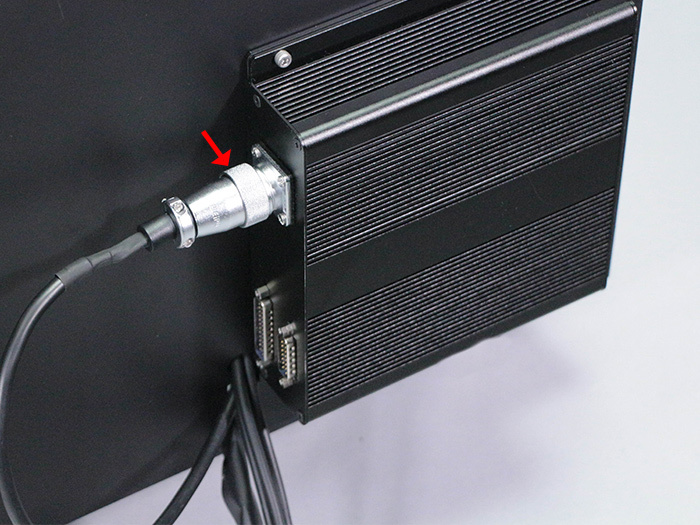 Attach RELAY MOTOR Cable on PCB Unit with the screws installed on the connector. 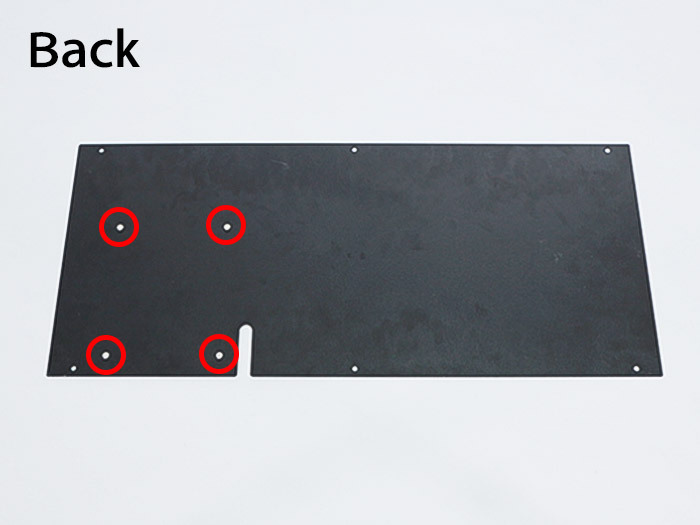 Attach Back R on the main body frame with 6 of M5 Post-in Nut and 6 of M5x8 Low Head Screw.